Wow-you are getting married and you would rather it be sooner than later! The good news is that when you find the venue you love, you will get a discount as venues love filling in their dates at the last minute. Don’t panic – you may not get a Saturday, but having a Wedding on a Friday or Sunday can be decidedly lovely. Your guests may make a holiday out of it and your certainly could too. You may be lucky enough to find a long weekend available as they are the last to get booked. A Sunday is as good as a Saturday in that case! Finding a dress will not be that difficult – just need a good dressmaker to get those fittings in on the dress you find! Try going to the thebridesproject.org – they have gently used Wedding gowns arriving daily that are donated already dry cleaned — you can pick up one gorgeous gown for under $500.00 and all your money is donated to Breast Cancer Research in Toronto. Most Bridal stores are willing to sell you the sample gown at a discount as well – works well for those last minute Brides! We encourage you to hire a Wedding Planner or a Venue with a Wedding Coordinator included – you are stressed enough with making all these last minute choices! Especially the details that need to be ironed out with the Table Map….can be very time consuming. 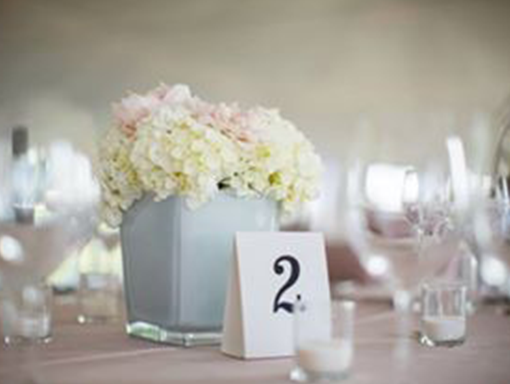 Give us a call for a complimentary “last minute Wedding Consultation” -905-442-0992– we would be happy to answer your questions and offer suggestions.